I am hoping that when you read this, Summer will have finally arrived and you will be in need of a nice cool beverage to cool you down. This is also another firm favourite of mine, I am even guilty of drinking this in the middle of winter. Such a rebel, I know! Place the ice into the glass. This helps chill the glass. Pour the espresso shot over the ice and pour over the milk. Sip and enjoy! 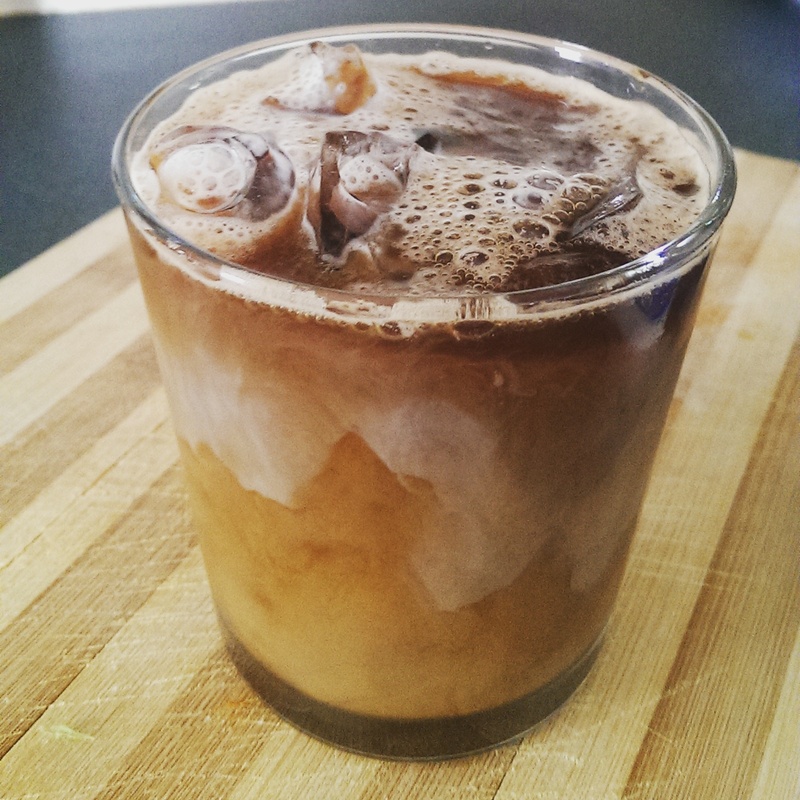 If you require sugar, add your desired amount into the espresso shot, when hot & stir before pouring over the ice. I'm happy we're finally getting to iced coffee weather!